James Bryan McKathan Jr. "JB"
James Bryan "JB" McKathan, Jr, 53, of Ocala, FL, passed away on February 3, 2019 in Ocala, FL. JB was born in St. Cloud, FL to Norma and Luke McKathan on March 3, 1965. He went to high school at McArthur High School, participated on the cross country, track, and wrestling teams until he graduated in 1983. He attended some college classes at the University of Florida while assisting his father in training thoroughbred race horses. After earning some college credit, JB decided his career path would follow the thoroughbreds to the racetrack. 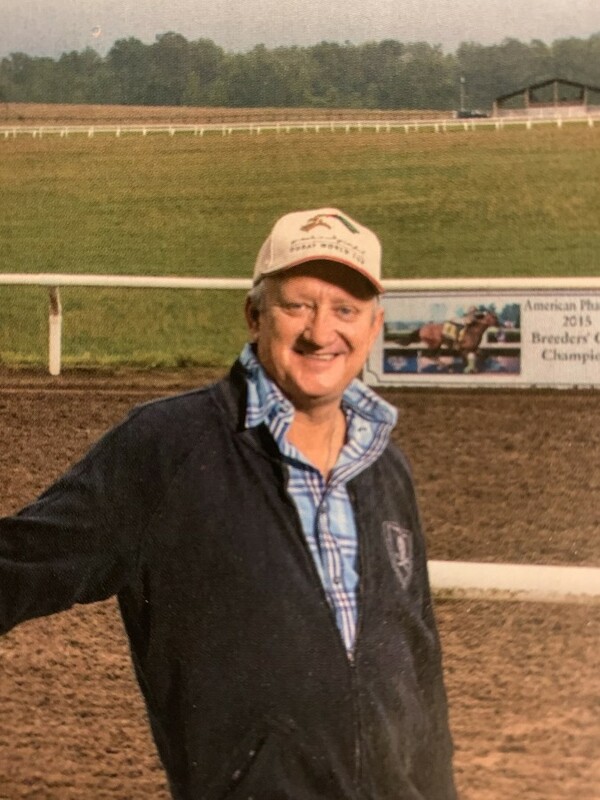 JB and his brother, Kevin, started McKathan Brothers LLC, the business consisted of selecting, buying, training, and selling thoroughbreds based off of their farm in Citra, FL. The brothers found early success with Storm Tower and November Snow; the two purchased and trained champion horses including Silver Charm, Real Quiet, Captain Steve, and Silverbulletday; and had an integral part in the success of, Pioneerof the Nile; Eclipse Award winner, Forever Unbridled; and Triple Crown winner, American Pharoah. JB will be forever remembered by his wife, Leigh; brothers, Kevin, Gary, and Jeff; sister, Brenda Conyers; parents, Norma, Luke (Jocelyn); nieces, Brianna and Savannah; and nephews, Russell Conyers, Rowan and Conrad McDavitt, and Morgan Curtin. JB was preceded in death by his sister, Denise Schwacke. The family will be receiving friends at the Visitation on Saturday February 9th from 1pm-4pm at Roberts of Ocala Downtown Chapel located at 606 SW 2nd AVE Ocala, FL 34471. Pastor Bob Miller of Ocala Farm Ministry will be officiating the Funeral Service which will begin at 4pm immediately following the Visitation. JB will be laid to rest the following Saturday, February 16th at Pleasant Home Cemetery in Andalusia, Alabama. Services in Florida were under the care of Roberts of Ocala Downtown Chapel, and Keahey Funeral Home in Alabama. Memorial donations may be made to the Ocala Farm Ministry: 489 NW 110th AVE Ocala, FL 34482; or Old Friends Farm 1841 Paynes Depot Road Georgetown, KY 40324. For those that are not able to attend the service in Ocala, the funeral service is going to be streamed live on www.Robertsfunerals.com The family wishes to extend gratitude to all of our employees, clients and partners at McKathan Brothers Training Center for their support during the difficult time.